Building Wireless Community Networks is about getting people online using wireless network technology. The 802.11b standard (also known as WiFi) makes it possible to network towns, schools, neighborhoods, small business, and almost any kind of organization. All that's required is a willingness to cooperate and share resources. The first edition of this book helped thousands of people engage in community networking activities. At the time, it was impossible to predict how quickly and thoroughly WiFi would penetrate the marketplace. Today, with WiFi-enabled computers almost as common as Ethernet, it makes even more sense to take the next step and network your community using nothing but freely available radio spectrum. 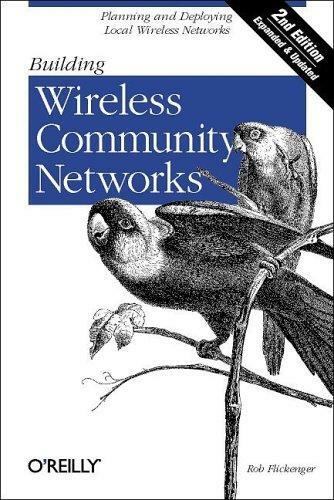 This book has showed many people how to make their network available, even from the park bench, how to extend high-speed Internet access into the many areas not served by DSL and cable providers, and how to build working communities and a shared though intangible network.